Guangzhou LovBeauty Bio-technology co.ltd is a company with researching and developing,manufacturing and marketing tattoo and permanent makeup machine, auto derma MTS device, digital power-control device ,cartridge needles ,micropigments , manual tattoo pen, microblading tools ,full line high quality microblades?and accessories for PMU and Microblading. Eyebrows are single handedly one of the most important features of your face. In recent times, filling in your eye brows has become not only a makeup trend, but a way of life! There are so many brow products and ways for us to achieve flawless brows. I’ve tried powders, pencils and even gels and yes, they temporarily work but it is a huge pain in the a$$ and can become very time consuming. I’m someone who tweezes my brows because I literally trust no one with them! It would be so amazing just to wake up and have perfectly arched and even brows. 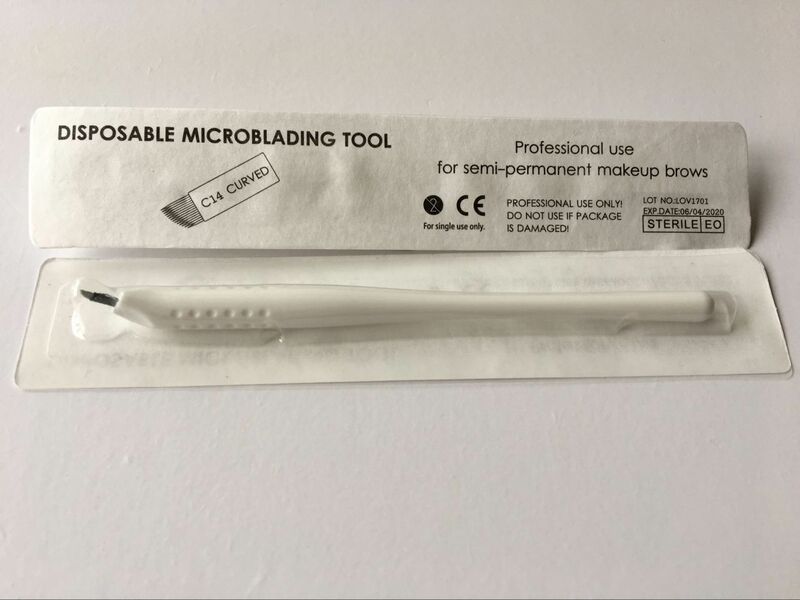 Over the past year or so, I’ve heard about this procedure called Microblading. If you are not already aware, Microblading is a semi-permanent makeup procedure in which pigment is implanted into your first layer of skin using a very thin needle or blade to resemble “brow hairs”. In other words, its a semi-permanent tattoo. Now if you’re anything like me, you might be thinking there is no way in hell I would ever “tattoo” my face. But after looking into it further and dreading the constant struggle of achieving perfect brows, I decided to go through with it! I googled places in my area that do Microblading and none of them were really giving me the confidence I needed to go forward with it. After all, this is a pretty serious decision to have something permanent on your face. I found out that the procedure can cost anywhere between $300-$1,200 depending on where you go and what you’re looking to have done. About ten years ago, one of my aunts had an esthetician come to her house and apply permanent eye liner on some of the ladies in my family (I was too young at the time). 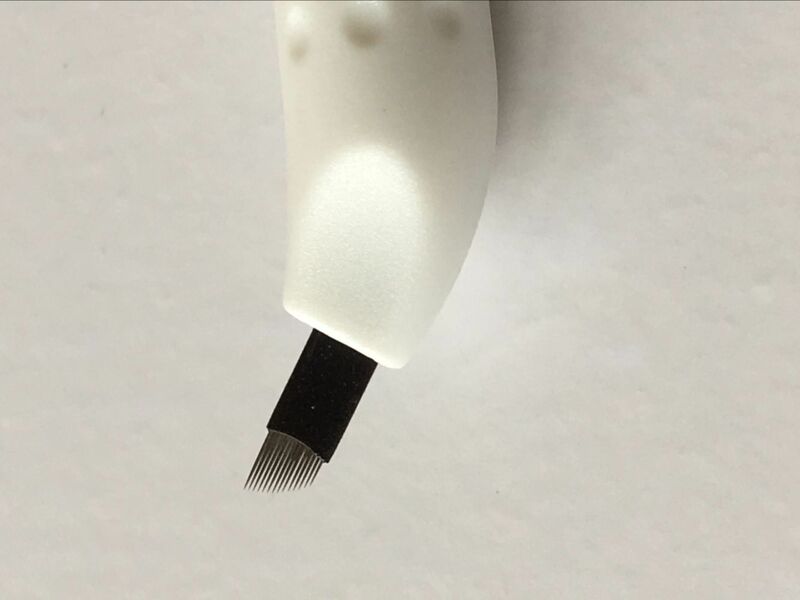 Similar to Microblading, permanent eye liner is a tattoo needle that is applied to your waterline or lash line to create a permanent eyeliner effect. Anyway, they absolutely loved it and just recently reached out to the same esthetician to have it reapplied. Semi-permanent makeup can last for several years depending on how well you take care of it. For example: sun, certain makeup removers or constant rubbing can fade the makeup and over time will eventually wear it off. During their second application about a month ago, they got to talking to the lady and she had mentioned that she does Microblading. When I found this out I was so excited and ready to get it done! I knew I wanted to go with her because I trusted that she would do a good job. She showed me a few before and after photos of clients she had done and I was really impressed! I scheduled my appointment and three weeks ago had it done! I was super nervous because I’ve never gotten any tattoos or had anything permanent like this done to me. She started by asking me what I was hoping to achieve and what color I normally fill in my brows. She has a wide variety of brow colors to choose from. I showed her a few pictures of what I wanted and she had me pencil in my brows the way I normally do with the product I usually use. FYI, I always used the Anastasia Beverly Hills Brow Powder Duo. She grabbed a ruler and measured my brows to my face and with her own pencil started filling them in to show how they were going to look. All these years I, like most people have been doing it all wrong! The diagram shown is a quick summary of how your brows should technically be sculpted to fit your face. Obviously, I have no time to whip out a ruler on myself and start measuring. This is perhaps why my brows have been a mess for all these years. Next, she took a needle and did three injections on the upper part of my brow to help numb the area. It was a little painful and there is something about needles that just freaks me out. She waited a few minutes and then began the “tattooing.” With swift, thin motions she drew on hair-like lines. I asked a few of the other ladies who got it done prior to me how it felt. Most of them said it wasn’t that bad but I’m going to be very honest and say that it friggin hurt! Some areas weren’t as painful but for me, the beginning part of my brow hurt the most. For whatever reason, my right brow (which was the first brow done) hurt more than the left. It’s very possible the numbing solution injected was not dispersed all the way through but I definitely felt each stroke. From what I recall, it took about 45 minutes per brow which is an average amount of time. As soon as she lifted the needle, the pain went away and I barely felt any discomfort. I took before and after pictures because I wanted to document what my brows looked like prior. Please excuse the “before” picture. I can’t even believe those were what my brows looked like- its actually scary. I never really liked my brows but I really didn’t think they were THAT bad until I got them microbladed. Directly after getting them done, my esthetician told me put a cold compress on the area to keep the swelling down. As you can see in the “after” photo, the area was a little red and swollen but nothing too bad! She also said the color will be darker immediately following. Similarly to a tattoo, the area will peel and fade and in about two weeks, the true color of the pigment will come through. For a week after, I was instructed to apply Bacitracin to help heal the area and prevent an infection from happening. I was also told not to be in the sun but its summer and there was no way that was happening. I just put block around the area and wore a hat to cover it. It has been three weeks and now that the area is fully heeled, I absolutely love the way they look and the color they turned! In my honest opinion, I would 100% recommend this procedure. I love waking up in the morning and having my brows ready to rock. It seriously takes several minutes off of my makeup routine (which in the morning feels like hours!). I’ve also been to the beach/ pool a few times since getting it done and its so amazing to not have my brows sweat off and look perfect even after being in the water. Is it worth the money? I ended up paying $375 and as I’ve mentioned pricing varies depending where you go and what you want done. I thought that was extremely reasonable and I would have paid double that to achieve the look I was going for. If you’re not someone who fills in your brows every day then maybe it wouldn’t be worth it. I do have and grow hair easily on that area but I know there are many ladies out there who have overplucked brows that no longer grow or lost their brows with age and this procedure is absolutely perfect for you! Is the place you’re using creditable? This is probably the most important thing to research. You have to be very careful when choosing where you go. The reason I chose the lady I went to is because she’s done procedures on people I know and she is licensed. She uses the most state of the art equipment and products and was informative about the before effect, procedure and after care. She’s also very clean and sanitizes all of the equipment she uses. Do brows really matter to you? For me personally, this was up there on the list of things important to my beauty routine. I feel like when my brows aren’t done, my face is not complete. If you are someone who already has decent brows or doesn’t mind filling them in, then I would skip the Microblading. Are you willing to spend money on the upkeep? As discussed, Microblading is Semi-Permanent. They say the brows may need to be touched up every year but it all depends on how you take care of them. I’ve been told the upkeep is not as pricey as the initial procedure if done in a timely manner, but it will eventually need to be done again. Also, after your brows are completely heeled, you may need to go through with a second session shortly after to fill in areas missed or darken the color. Each case is different. Can you handle pain? I thought I had a high tolerance for pain but to be perfectly real with you, it was pretty painful for me. Even though it hurt, I am definitely willing to go through it all again to keep them looking perfect. After all, beauty is pain! The eyeliner tattoo a set for life? Note the tattoo, pay attention to strict disinfection, avoid postoperative infection; unless the pattern is not ideal, even more ugly, otherwise do not easily modify. It should pay attention to choose the pigment, mainly according to the color and love, basically is the same with hair color pigment; if the color is white, should choose coffee; if the color black, black should be chosen. We should pay attention to strict disinfection, avoid postoperative infection; unless the pattern is not ideal, even more ugly, otherwise do not easily modify. There are acute and chronic inflammation in the eye, recently had eye surgery, eye tears, allergic physique, physical scars, mental strain situation, it is best not to tattoo. The part of the people in the tattoo after 5-8 days, local decrustation and bleaching, the general use of color to make up. On the part of the uneven color, in light color. For the complementary time in 2 weeks. The tattoo is only suitable for every day make-up people. If only the eye is outstanding, and the other parts of the face without makeup, there is a sense of imbalance, that is not beautiful. 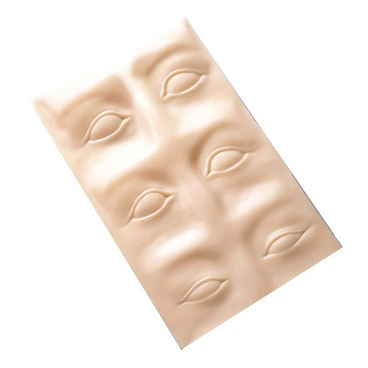 On the liner expanding eye effect is obvious under the eye liner eye position is low and sweet feeling; small eyes only tattoo, eyeliner, eye liner would look smaller full grain; round eye liner should have to add the slender grain length curve, make the eyes appear wider; long narrow eyes should be some deep thick eyeliner patterns have to, in order to add curve radian, weaknesses, shortcomings conceal. In the eyes of commuters, tattoo is a more convenient way, they often say: convenient, tattoo is very necessary! What is the principle of the eyeline tattoo? 1. The liner should be tattooed on the eyelashes or slightly lateral; under the eye liner should be tattooed on the inside of eyelashes. This can seem natural and graceful. 2. for blepharophimosis, generally do not advocate the eyeliner Eyeliner lines will be too close to the eyelid eyelashes, otherwise wrinkles can make eyes more narrow, aesthetic effect. 3. the tattoo should adopt black dye, were to follow the “narrow not wide, shallow Ning Ning, not deep to moderate” principle. The upper and lower Eyeliner The inner lines of fine light, and lateral lines to shoot should be thick, generally speaking, on the liner width, thickness ratio should be in the appropriate 7:3. The eye must type, the operation of the age, occupation, temperament, hobbies and other factors on the basis of flexible adjustment. On request: Pierce method for little, other steps with tattoo technique. The tattoo on the eyeliner in general on the eyelash root lines to a thin line, such as the need to widen to the outside of the eyelashes. The liner is in the pattern of the eyelash root first grain a filament, such as the need to widen is widening to the inner surface of the white eyelashes. net Said on the liner near the inner canthus angle slightly thin, central tail gradually widened to bold paropia after slightly elongated pouty, appear more youthful and lively; under the eye liner should be thin, eye end a little wider. Tattoo When the patients were told by the eyes closed, can reduce pain and terror, and remind the tattoo when don’t hand close to the eyes or suddenly looked up and move, so as to avoid injury of the eye. The tattoo to see tiny beads of blood should not fade can wipe with a cotton ball. After some antibiotic eye drops, with antibiotic ointment, 1 weeks after decrustation, according to the situation and then fill a pattern. When it comes to the eye of the modification, many people first reaction is “double eyelid surgery”. Indeed, double eyelid surgery can directly change the eyes, but not all people, such as those born doubleeyelid people, they want to make the eyes become more beautiful, how to do? This requires the help of the eye tattoo. Eye tattoo mainly refers to the “tattoo”, the tattoo originates from tattoo technology, but also use the embroidering needle and other equipment, apply special pigment, along the eyelash root piercing the skin to reach the decoration effect. The tattoo project is relatively simple, no technical art demands too much, but more of a tattoo artist test observation and analysis skills and across the department. Eyelashes skin around the thin and sensitive pigment, has joined in this part of the skin caused by great stimulation, if normal hand tattoo intensity control is not good, will cause the customer discomfort. First of all, the classification of the tattoo is actually very simple, divided into grain and grain under the eyeliner eyeliner. 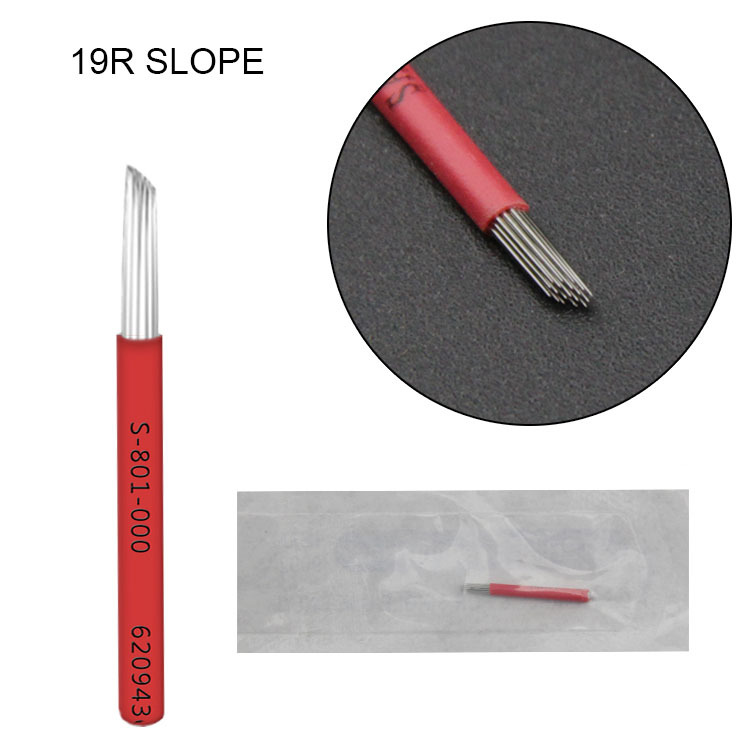 Eye width is different, the liner width is 0.8-1 mm, 0.4-0.6 mm wide liner. Due to the characteristics of Asians, the general color with black eyeliner. Third, the liner is more obvious in the expansion of the role of the eye, let eye liner is low and full of sweet feeling; small eyes best parafossarulus eyeliner, if the upper and lower eyelids eyes appear smaller full grain; round eye liner, should be added to the slender grain length curve and make the eyes appear wider; narrow eyes should be some deep thick eyeliner patterns have to, in order to add curve radian, weaknesses, shortcomings conceal. Fourth, the tattoo will also have a chance, because the tattoo division operating errors or key technologies, leading to problems. For example, because of poor quality, improper proportion of color or decoration too deep and other issues, resulting in discoloration, bleaching, bleeding, injection or stimulation of ornamentation are likely to cause eyelid swelling, eye injury. 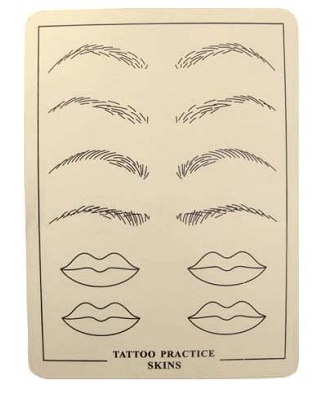 So, before doing eye liner, be sure to ask the doctor or teacher, understand the tattoo qualifications and experience. As the saying goes, the eyes are the windows of the soul. Generally, a pair of beautiful eyes should be able to reflect the psychological and emotional changes of people’s activities. From the exterior view, big and bright eyes, eyes long eyes, clear eyes, is beautiful and swollen eyes, small eyes, drooping eyes, is not beautiful. In fact, the adult eye size is basically the same, but the appearance of eye shape vary widely, its shape is an important factor in determining the eyes of upper eyelid and lower eyelid opening degree, inside and outside corner of the eye shape, how many shades, eyebrows, eyelashes length and shape. The beauty of ancient scholars the positions of facial features are summarized as “three stop five eyes”. “Three stop”, refers to the length of the face is divided into three equal parts, respectively, the area under the. On the area from the forehead hairline to the ophryon, central from ophryon to the nose area under the bottom, is from the nose to the chin at the bottom edge is equal to the height of the three district is equivalent to three of the height of the nose. The “five eye” refers to the width of the face in the eyes of the horizontal position to equal the five eye distance, that is to see the face from the front, right ear hole to the left ear distance, just the equivalent of five eye width, respectively (about the width of the eye), and to the ears of the lateral canthus eye spacing the width (about each). Generally speaking, in accordance with the ratio of the face, it is easy to produce symmetry, give people the feeling of the United states. According to Asian tattoo statistics, the adult eye width of the palpebral fissure, diameter of 30 ~ 34mm, with the angular distance is 30 ~ 36mm, upper and lower palpebral fissure size is 10 ~ 12.5mm, upper eyelid and eyebrow spacing is 15 ~ 20mm, which is the height of the upper eyelid. A lateral canthus slightly high, medial palpebral fissure angle is 48 to 55 degrees, 60 palpebral fissure angle of lateral canthus to 70 degrees, and the angular line and a horizontal line angle is about 10 degrees. The cornea exposed rate is 50% ~ 80%. Eyes look ahead, the upper eyelid covering cornea is about 2mm, the lower eyelid and cornea edge contact. The corneal diameter 12 ~ 13.6mm, average 11mm. In the 1/3 in the upper eyelid the highest point in the junction of the upper eyelid, the lowest point in the lower eyelid lower eyelid and foreign 1/3 junction. On the top of tarsus is 8 ~ 10mm, lower eyelid is 5mm. Small crack, orbital hypertelorism and epicanthus did not meet the three stop five eyes, which looks incongruous and is not beautiful, only through these people to make a harmonious and well proportioned beauty.